تاریخ 22 جنوری 2008 (current version); 31 جولائی 1963 (original version). رائج الوقت 17:27، 4 جنوری 2019ء 900 × 600 (2 کلوبائٹ) FDRMRZUSA Reduced size (compressed). 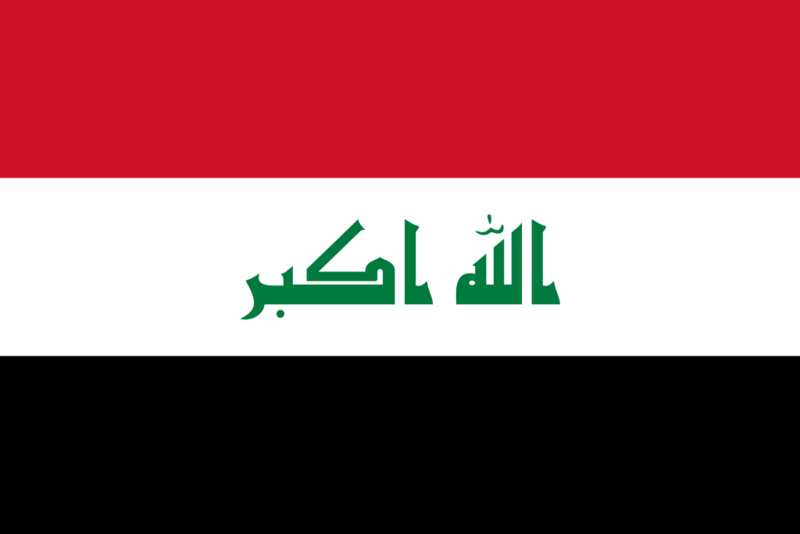 20:26، 2 جنوری 2019ء 900 × 600 (5 کلوبائٹ) FDRMRZUSA Higher svg resolution (same proportion: 2:3) according other iraqi flags.